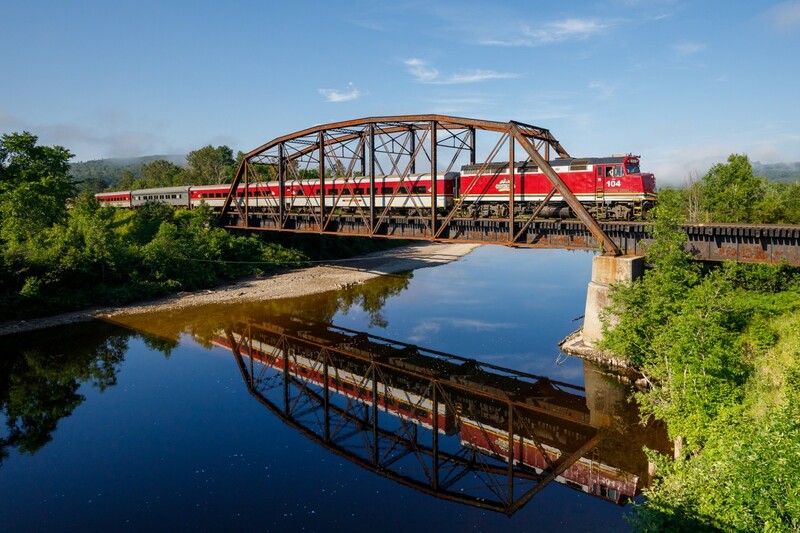 Railpictures.ca - Ryan Gaynor Photo: The northbound Agawa Canyon tour train is seen rollin’ through Searchmont along “The Tracks of The Black Bear”. Having performed my song about the ACR at a music festival in Sault Ste. Marie the previous night, it sure felt good to get back! | Railpictures.ca – Canadian Railway Photography – photographie ferroviaire Canadienne. Copyright Notice: This image ©Ryan Gaynor all rights reserved. Caption: The northbound Agawa Canyon tour train is seen rollin’ through Searchmont along “The Tracks of The Black Bear”. Having performed my song about the ACR at a music festival in Sault Ste. Marie the previous night, it sure felt good to get back! Pretty scene, Ryan. Nicely done.